4th season and still going strong! SIMMS G4 pro guide waders. Before purchasing my SIMMS G4 pro guide waders I almost had to consider taking out a bank loan. 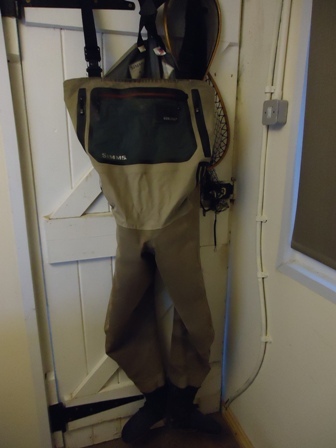 Now well into my third season they are easily the best value waders I have ever bought. Fly fishing with cold wet legs and feet is not fun. In the pre- SIMMS G4 pro guide period I went through every major manufacturer of waders on the market. They all had one thing in common; sooner or later they leaked.One mid range pair actually leaked on their first outing. On average I purchased 2 pairs of waders a year.Even those with so called guarentees leaked. The average number of trips before a leak appeared was about 10. I'm a passionate and serious fly fisher. I'll walk through miles of shrub or slide down steep escarpments to find near virgin water. Quite simply before the SIMMS G4 pro guides no waders were capable of this job. Seam leaks were the most common along the inner thigh and annoyingly the crotch area. During winter fishing I got that shrinking feeling on more than one occasion. Eventually I cracked. I did some serious thinking. I was spending upwards of £30 a year on aquasure alone not to mention 2 pairs of mid priced waders. I never bought the same model always looking for an improvement which always proved elusive. OK they cost as much as my car but so what! I ordered my pair of SIMMS G4 pro guide waders. I was impressed straight away by the obvious quality...the fact that the seams were where logic dictates they should be, the weight thickness yet breathability of the material. The fit was excellent and the range of fits is above the standard small medium large. They remain the most comfortable pair of waders I've worn to date. I've tested them to destruction- got lost through gorse bushes, climbed and clipped barbed wire fences, slipped down rocks both by mistake and design. Fish have thrown very sharp barbless hooks into them. They continue to perform. Week in week out. They are starting to look slightly tatty around the stockingfoots but I accept this is more than fair wear and tear. Wader repair took up a great deal of my time and thankfully that is a thing of the past. These days my SIMMS G4 pro guides are a natural and welcome part of my river fly fishing. They look great still. They are the perfect colour for a river environment. Many similar waders are a little on the pale side. A hook is just a hook right? Well if you only catch the odd fish here and there then perhaps this attitude might be excusable. For the rest of us the hook is perhaps one of the most important pieces of fly fishing equipment and the one that connects you directly to the fish. 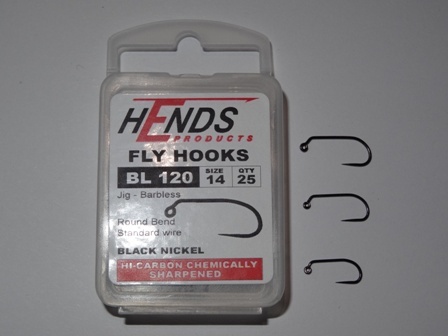 Jig hooks have increased in popularity in recent years. They have a very useful aspect fishing hook point up and inverting the fly. The bead, usually tungsten, also fits very neatly on that offset on the shank near the eye. I have been fishing with jig hooks for a few seasons now and the best in my opinion are the ones produced by Maruto from Japan and by Hends from the Czech Republic. Many onstream-guide favourites like the Black Magic are tied using these hooks. They are excellent hookers with superb penetration, hold fish very well, and never seem to snap or bend. I’m not sure if I can remember the last nymph pattern I tied without using a tungsten bead! Tungsten beads have revolutionised stream fly fishing. Original fly fishing beads introduced decades ago were usually gold and comprised of relatively light metal alloys. They were scorned by many traditionalists who dogmatically insisted that a fly pattern should be an accurate imitation of the natural food item, which usually did not have a large round gold head! Unfortunately the fish didn’t agree with the traditionalists a gold headed hare’s ear quickly became one of the deadliest fly patterns around. The role of beads in modern river flies is twofold. Like the old school gold beads it acts as an attractor and gives a pleasing rounded profile to the head of the fly. A profile that fish find attractive. Secondly it adds weight to the fly. 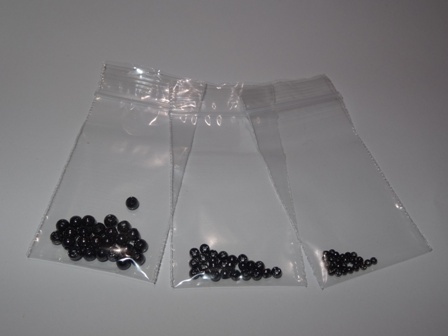 Tungsten beads are especially good at this being around 20 times (19.25 g/cm3 compared with water 1 g/cm3) heavier than the same volume of water. The useful upshot of this is that when a bead is incorporated into a fly pattern (usually a nymph or streamer/tadpole) it sinks very quickly.